Before the meeting between PM Netanyahu and Secretary of State Pompeo in Brussels, they lit Hanukkah candles together. See the photos. 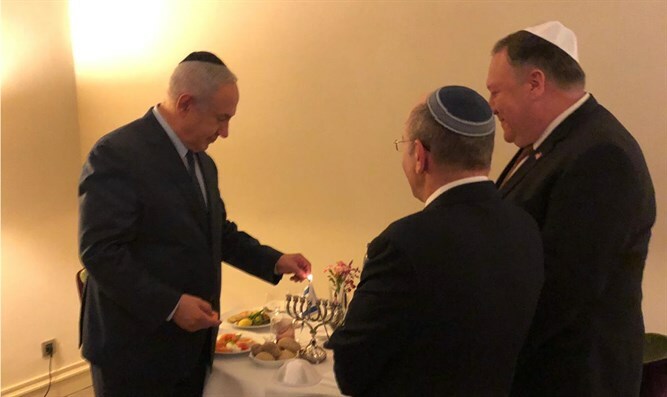 Before their meeting in Brussels on Monday, Prime Minister Binyamin Netanyahu and US Secretary of State Mike Pompeo lit Hanukkah candles together. Pompeo later summarized the meeting on Twitter.